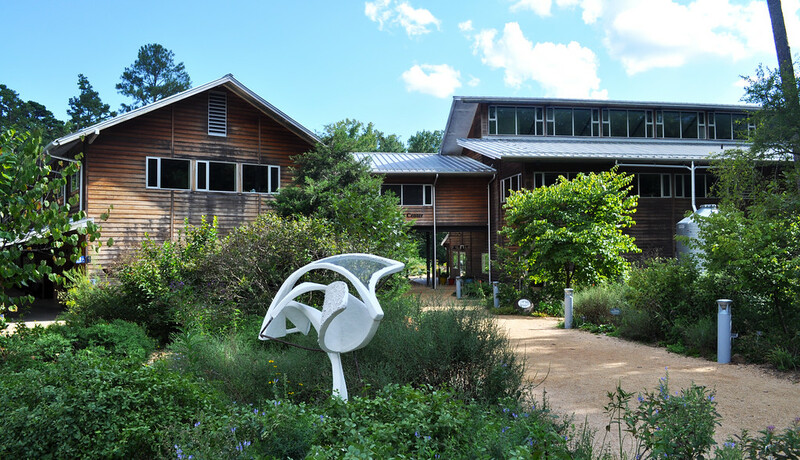 The 30th annual “Sculpture in the Garden” event is a “display within a display,” and happens every fall — since autumn is one of the best times to walk the NC Botanical Garden. The exhibition has become a tradition, but that doesn’t mean there’s anything predictable about it. 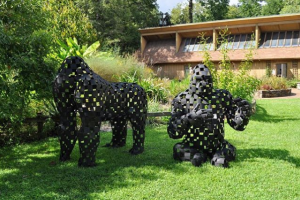 Since its inception in 1988, “Sculpture in the Garden” has brought the work of local artists and the curated landscapes of the garden together to create a stunning, memorable and novel way of experiencing art in sculpture in the context of the natural world. The exhibition brings a new appreciation to both, and highlights the relationship between art and artist, nature and observer. This years event features over 50 pieces by 30 artists in media ranging from steel and ceramic to glass. Admission to the exhibition, as well as the garden itself, is free and open to the public. “Sculpture in the Garden” is geared toward all ages and will be enjoyed by the casual observer as well as the serious art collector. Most pieces are available for purchase, although no pieces will be removed before the end of the show. This year, voting for the People’s Choice Award will be open to the public until Sunday, October 14.